Yeah, Melissa McCarthy lost some weight. Cool, what else? 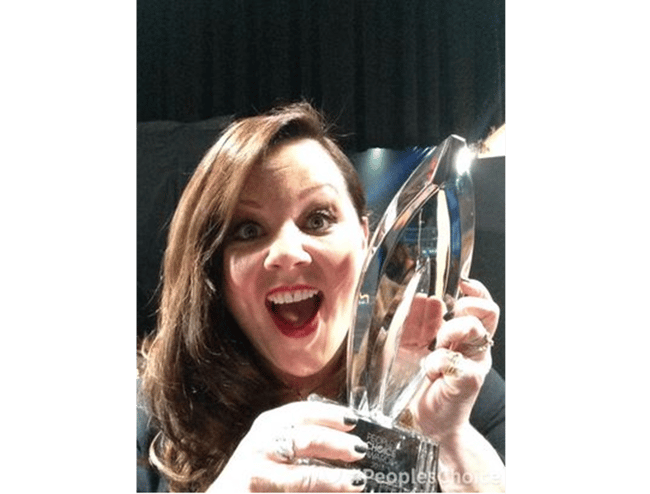 Melissa McCarthy, 45, has an insanely successful film career; a fashion line; was the star of her own sitcom; and most importantly (to me), she was Sookie St James in Gilmore Girls. This year she was honoured with a star on the Hollywood Walk of Fame and don’t even get us started on her fantastic stand-up routines. However, if you read anything on the subject of McCarthy, the most fascinating thing about all of her accomplishments seems to be she achieved them while fat. Now, the actress and mother of two appears to have lost some weight recently. She is apparently, as reported by the tabloids, “almost unrecgonisable”. She’s “flaunting her impressive weight loss” (read: walking around and generally existing as per usual). She’s “thinner than ever”. She’s “showing off her slim figure”. 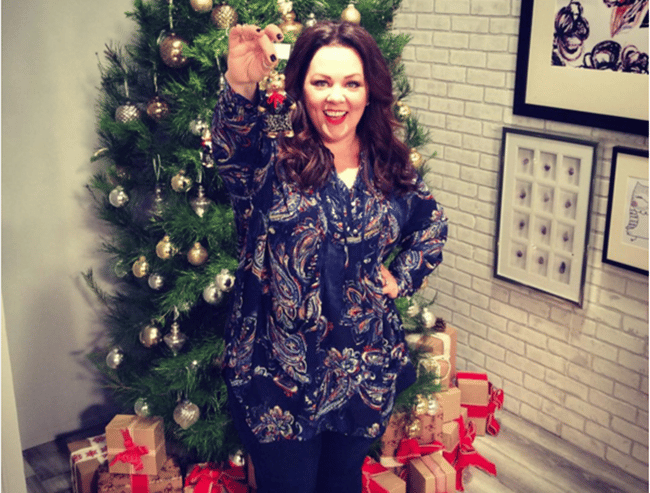 Melissa McCarthy debuts her 7Seven holiday collection at Lane Bryant. Image via Getty. McCarthy has lost weight. She does look lovely. Let’s not assume, though, that McCarthy lost weight to look good, or conform to Hollywood standards, or to model her new 7Seven clothing collection. In fact, let’s not discuss her weight at all. What a novel concept! 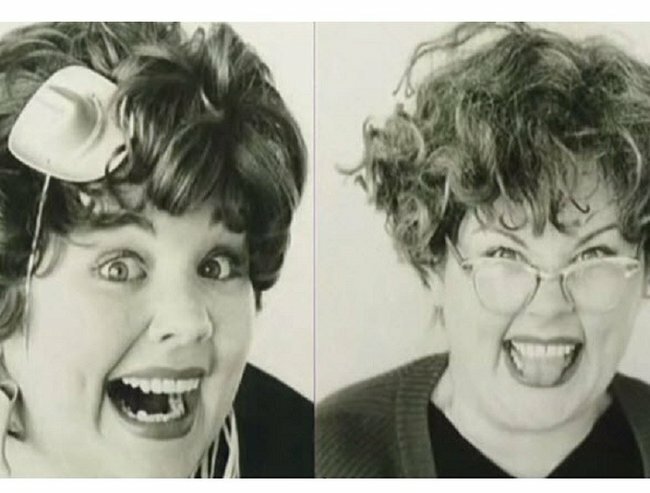 See, Melissa McCarthy is Melissa McCarthy, no matter her weight. There are a ton of things she’s done that are much greater achievements than her figure. 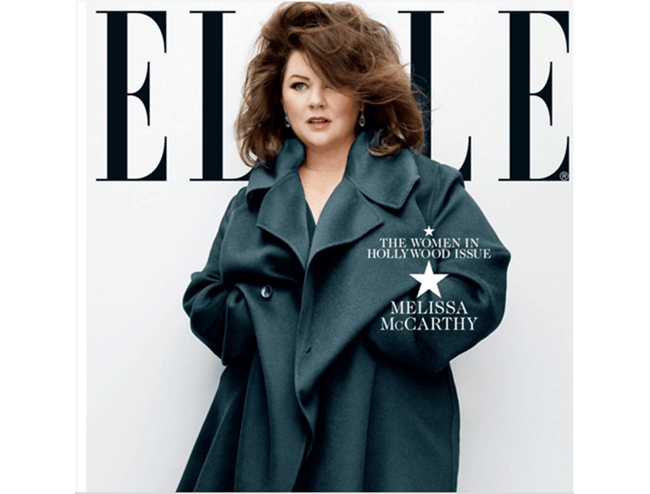 We freakin’ love Melissa McCarthy, whatever size she comes in. Let us count the ways. McCarthy basically made her name in films in this movie. She played the tough, puppy-stealing Megan Price and was nominated for every award that ever was. Including an Oscar. She won’t take any guff. McCarthy confronted an absolute creepola of a reviewer who wrote awful things about her appearance in the hit film Tammy, which was directed by her husband Ben Falcone. “Are you the one who wrote I was only a good actor when I looked more attractive and that my husband should never be allowed to direct me because he allowed me to look so homely?” she said to the reviewer at the Toronto Film Festival last September. Really hope he heeded that. She’s really keen to break down the idea that all women should look a certain way. “People don’t stop at size 12. It’s an odd thing that you can’t go shopping with your friends because your store is upstairs hidden by the tire section,” she told Women’s Wear Daily about why she created her 7Seven collection. Gorgeous woman on the cover of Elle. She sees right through bullies. When New York Observer reviewer Rex Reed called her a “hippo” and “tractor-sized” in a scathing review of her film Identity Thief, she refused to be hurt. With her People’s Choice award. Who you gonna call? Melissa McCarthy. 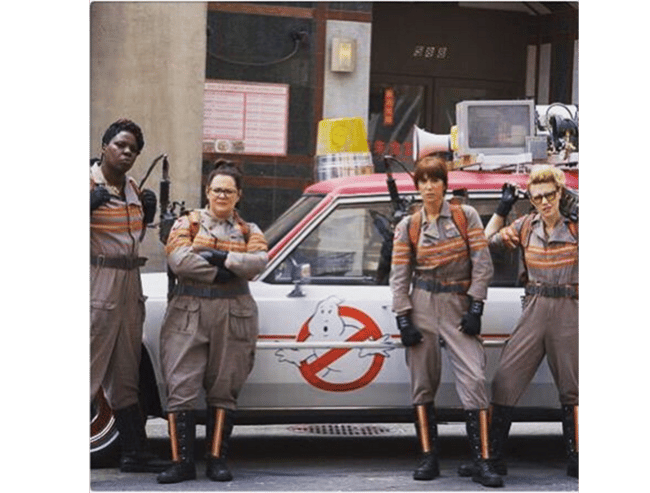 I have no doubt the all-woman remake of Ghost Busters is going to be just as iconic as the original. Bridesmaids castmates McCarthy and Kristen Wiig are reunited. It’s going to be epic. These were her first headshots. Why the tiny cowboy hat? Only Melissa McCarthy knows. Did I mention she was Sookie St James? 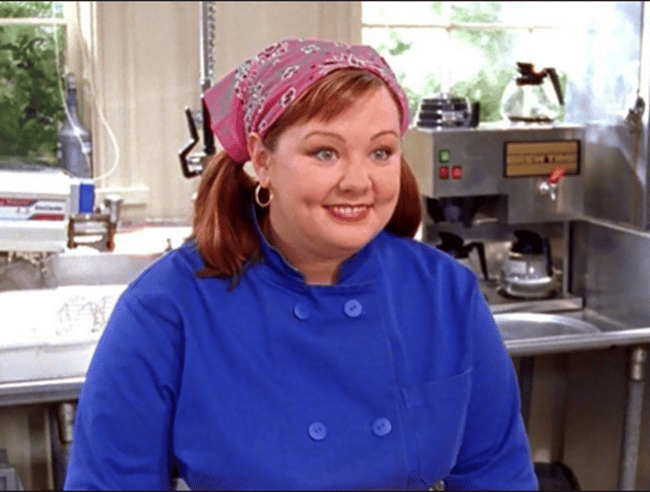 Lorelai Gilmore’s neurotic, perfectionist chef best friend Sookie St James on Gilmore Girls was McCarthy’s first big break on TV. It led to a stint on Samantha Who with Christina Applegate, and then to her very own sitcom, Mike and Molly, for which she won a Primetime Emmy for Outstanding Lead Actress. But whatever, Sookie was her greatest role of all time. Melissa McCarthy’s great, fat, thin, or otherwise.